Only the beginning of this trip is fully planned out. I'll be cycling down to Newhaven, UK from London to catch a ferry to Dieppe, France. From there I will go along French D-roads towards Luxembourg city, a place I've wanted to visit for a long time. After a couple of days rest I will head south to Strasbourg and on to the source of the river Danube in Donaueschingen, Germany. From there I will follow the Danube cycle path all the way to Novi Sad in Serbia. The route beyond that will be planned and updated here whilst I'm enroute. Along the way I'll be camping rough as much as possible so that my budget will hopefully stretch the length of the trip. Between Istanbul and Uzbekistan is where things are in the laps of the embassy gods. I hope to pass through Iran visiting the sites of Tehran and Mashad on my way to Turkmenistan where I'll race through on a 5 day transit visa getting in a quick visit to the ancient city of Merv. Unfortunately, Iranian visas can be quite hard to come by so if this plan falls through I will most likely end up on a ferry across the Caspian sea to Kazhakstan. During the middle portion of the trip I plan to cycle along the incredible Pamir highway in Tajikistan. 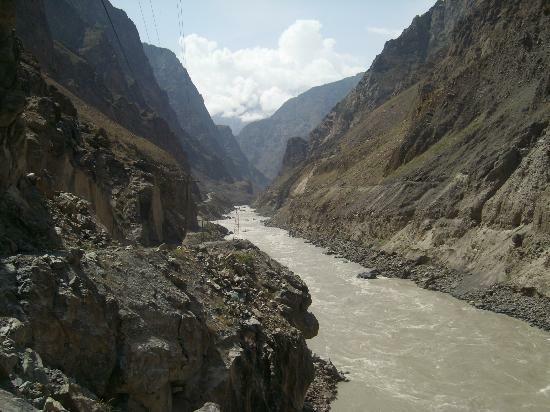 A narrow track about a cars width that crawls along the edge of the river that divides Tajikistan and Afghanistan, passing through epic valleys and mountains for most of it's 400+ mile length from Dushanbe to Kyrgyzstan. You can see a picture taken on the route above and to the left. After this I will enter China and cycle across the vast Taklamakan desert, enjoying the remoteness and unique culture of western China before gradually reaching the more developed parts of Eastern China. 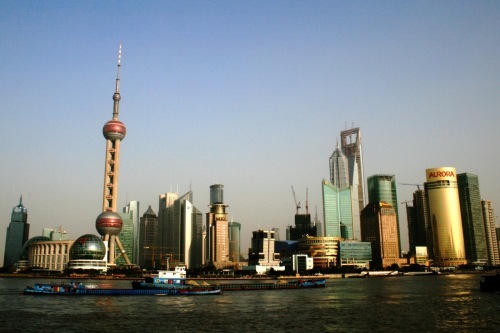 After a couple of months cycling across China I will reach my final goal of reaching the Bund in Shanghai, home to one of the most dramatic cityscapes on earth!